Hi Friends. It's already past mid-November if you can believe that! Time truly does fly by... Thanksgiving is next week, and the following week we will be in December and rushing to get all our Christmas baking, decorating, shopping, etc...done! Wheww! Right now is a great time to enjoy baking or making things for yourself or with your kids that you can enjoy all through this season and many more to come. Time with family and friends truly is priceless. Why not take some time together to make some memories?! 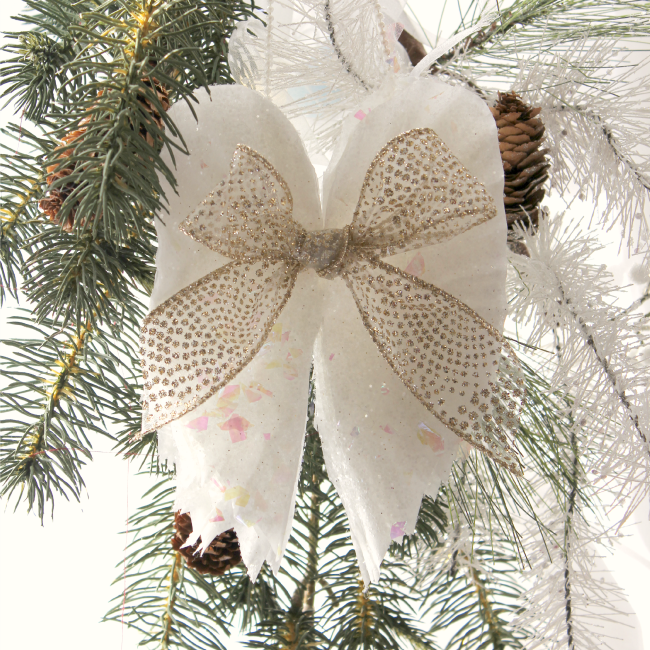 Following are all handmade ornaments, that are fun and relatively easy to make. Try some with your Family! 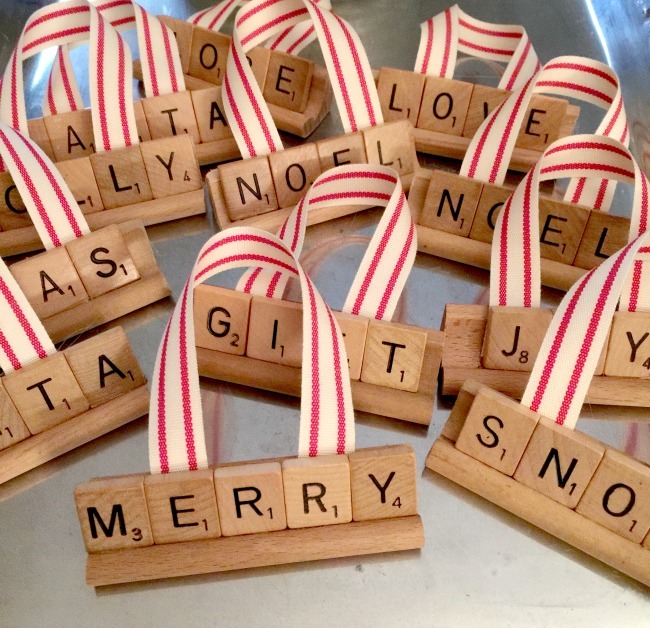 These are actually posted as Snowman Christmas Tags, but I think they make absolutely adorable ornaments too! You have some random buttons laying around don't you? These next ones, ANYONE can make, but I am in awe of the ingenious idea of using Cardboard Ribbon Spools to come up with such an adorable little ornament. 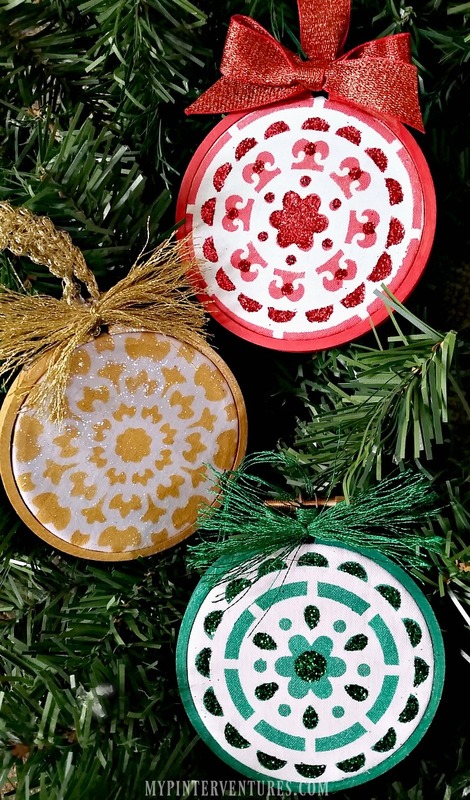 I have old Christmas Cards and these cardboard spools, I can't wait to try my hand at these for my tree, this year. 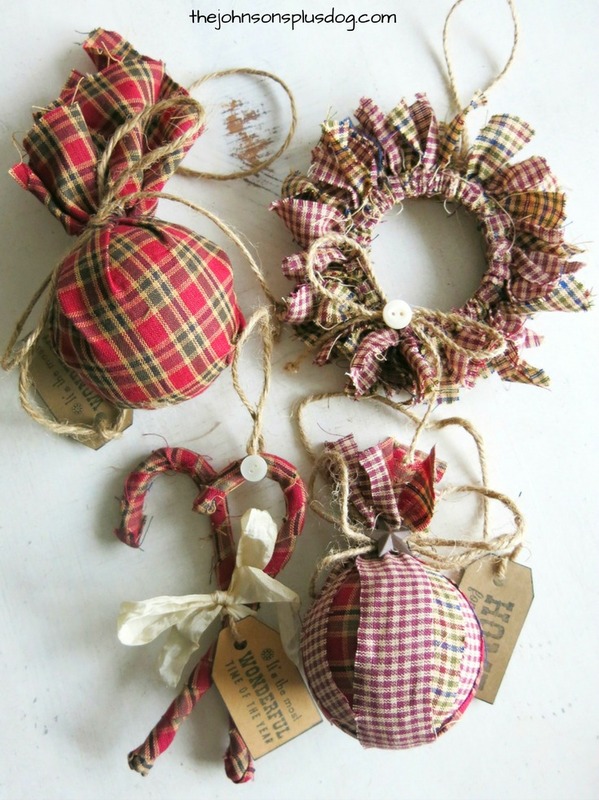 How about some good ole fashion Homespun Fabric Ornaments?!! Aren't they fabulous?!! Here's 4 different ways to use some scrap Christmas Fabric to make some truly fun and durable ornaments! 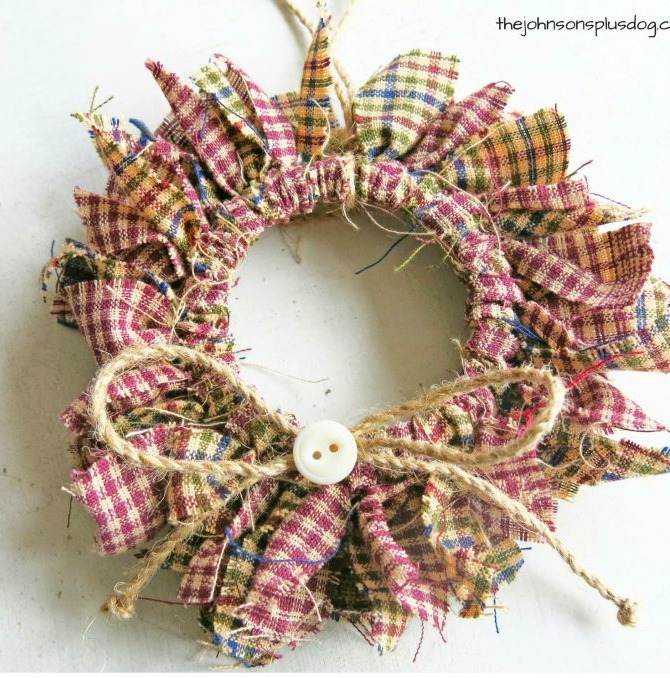 The cute little wreath is made from a Mason Jar Ring! Who would have thought! I love it! How many times have you picked up an extra game of scrabble at a garage or tag sale?! I've done it a couple of time, losing pieces is a normal thing, right? I never would have thought to use them like this! I will now! 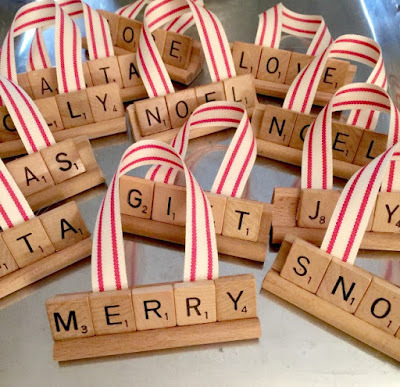 Repurposed Scrabble Pieces Make Awesome Ornaments! Do you remember when you use to make clay projects for school? I sure do. 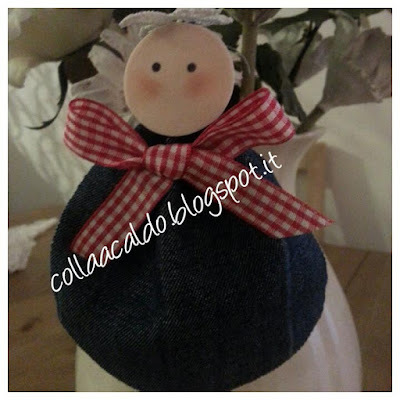 I don't think I ever made anything quite as cute as these little DIY Christmas Clay Ornaments. Did you? You can now! 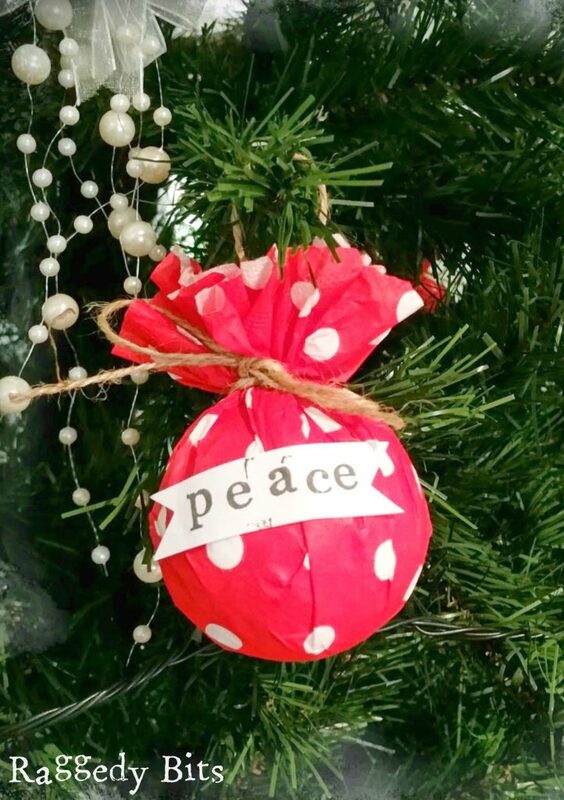 These adorable little Polka Dot Christmas Ornaments couldn't be easier or more ingenious! Foam balls covered with paper Napkins! I'm not kidding!! You would have never guessed that either, would you?! That's what they are! Click on the link and find out how to make some for yourself! This next beautiful ornament may require a bit more time and some wonderful skills, but, oh, what a pay off! 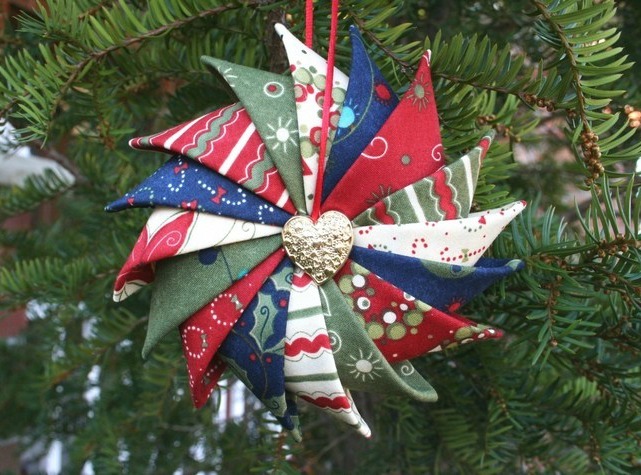 Have you ever made a Prairie Point Star Ornament? Neither have I, but there's a great tutorial in this link so we all can! You all know I am in LOVE with all things Clothespins!! This guy just tickles my fancy like no other! I have an awful soft spot in my heart for Santas! 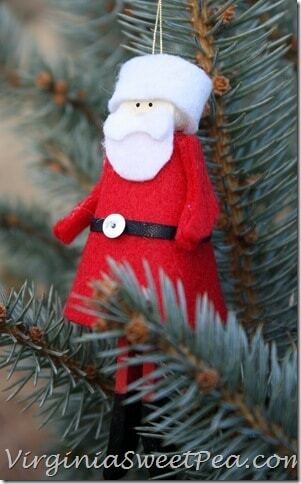 This Clothespin Santa Ornament is no exception to that! He's just adorable. Who needs an elf when you have this guy hangin around?! I know, moms and kids everywhere just screamed at me, but really! I live about 40 minutes from the ocean, so I grew up with Sea shells around the house from our monthly excursions. But, if you didn't, have no fear, most party supply and craft stores carry bags of them and for a fairly good price. I'm telling you this because you are going to want to make these perfect Sea Shell Angel Ornaments, just like I do! I cant wait to try my hand at them. While you are out running around be sure to pick up some walnuts, in the shell! If you don't you won't be able to duplicate this Walnut Shell Wreath-Ornament Isn't it beautiful?! 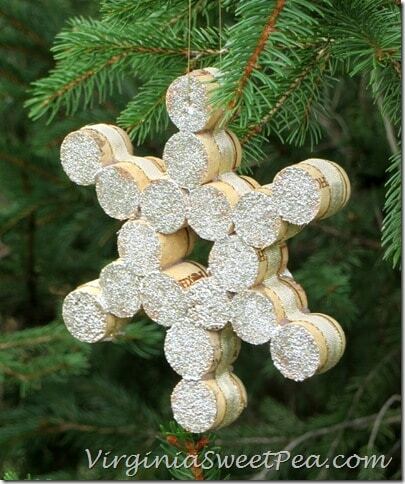 Howe about saving up your corks for these Snowflake Ornaments made from wine corks? No waste around here! 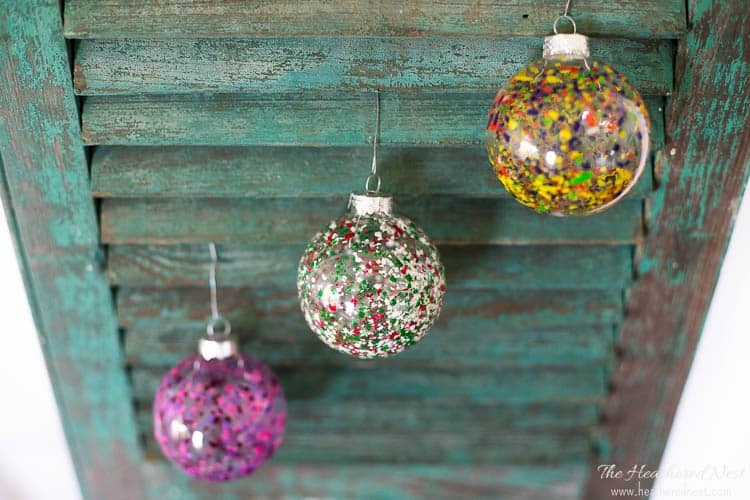 Try something completely new with these Melted Crayon DIY Art Christmas Ornaments You really just have to click to see these ones! I could have never come with this. But I just love how they turned out! Once again, the Sea Shells hit it out of the park!! look at this adorable Santa Shell Ornament! Yes, you could totally make one too! Wood Slices make a hit again! 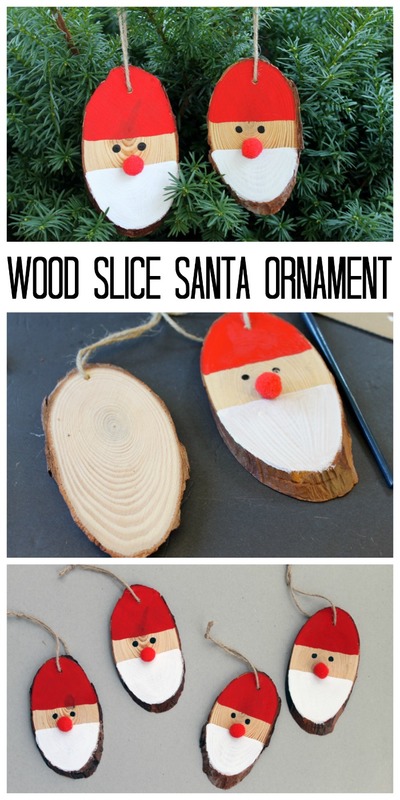 I definitely need to get some of these, just some paint and a little red pom pom nose to make these Wood Slice Santa-Ornaments! Aren't they precious? These will last for manu years to come too! Alright, now onto something a little more fancy and delicate! 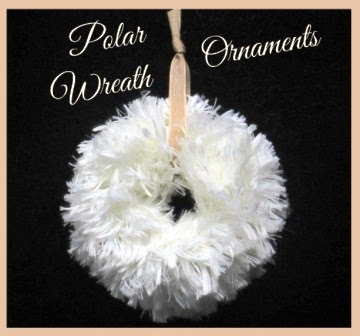 Polar Fur yarn and Mason jar rings make up these luxurious Furry Polar Wreath Ornaments Don't you just love them? I certainly do and I have lots of extra Mason jar rings to use! Woohoo, I'm halfway there. My dear friend,Linda, made these absolutely adorable Sparkling Angel Wing Ornaments from coffee filter, no less! I'm in awe of her craftiness! And,I love these little wings. I would have never guessed that they were coffee filters if I hadn't seen her tutorial. Here;s a great way to get your kids involved! 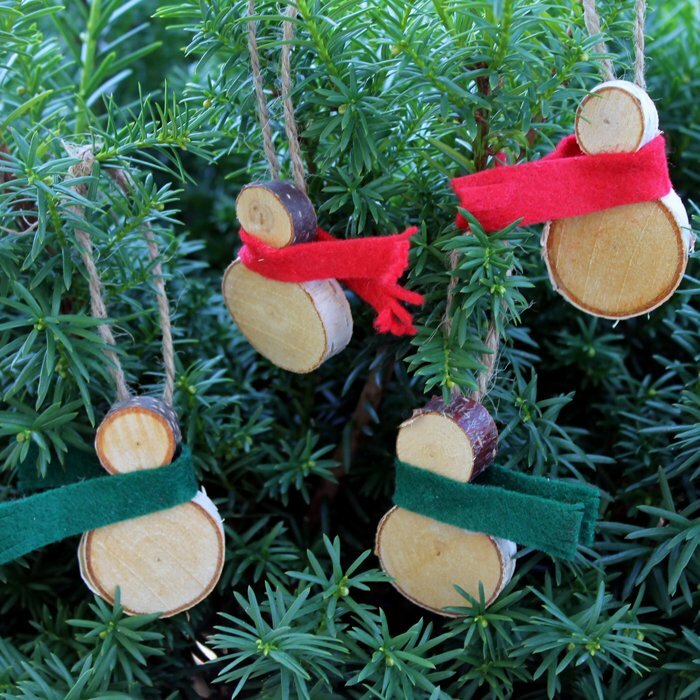 These cute little Reindeer Ornaments were madeusingf fingerprints for their adorable little bodies! What fun! 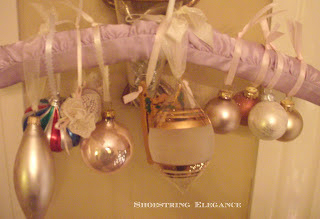 A little stenciling a little paint and some finesse and you, too, can make these sweet Embroidery Hoop Stenciled Ornaments So many possibilities! Are you getting in the mood to get started on your own yet??!! I sure hope you are! Look at all the fun and originality you can have and put into your decorations! That's the whole point of sharing these tips and tricks with you. So that you can take them and make them your own, with your own family. 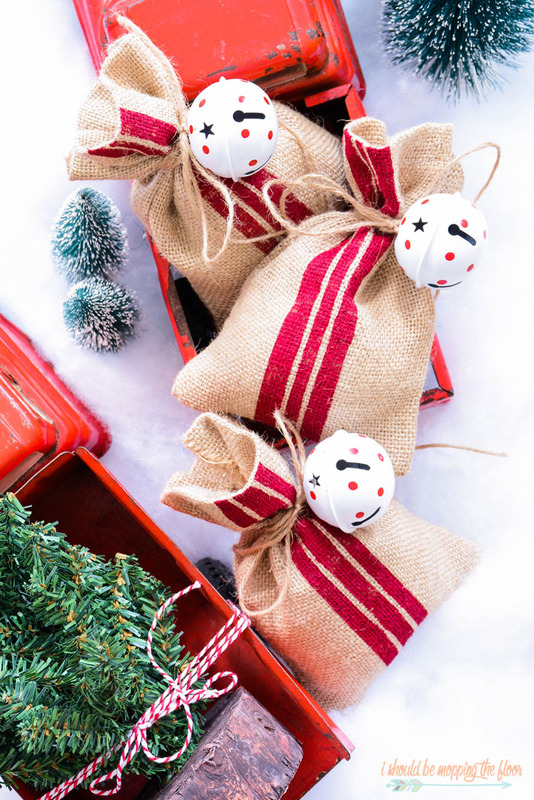 Here's another post that was made to be adorable little gift bags, which they are! 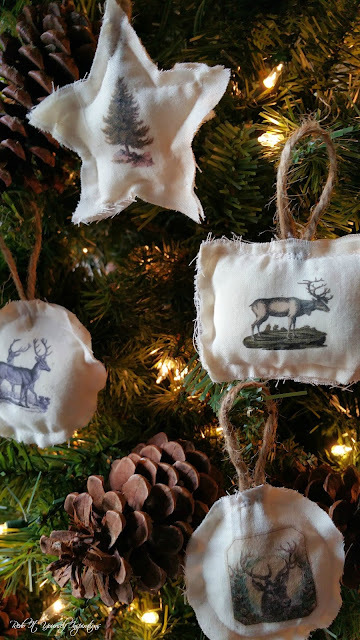 But, I liked them so much, I thought why not just stuff a few and make some Miniature Grain Sack Gift Bags into Ornaments! They are too stinkin cute! They'd look awesome on the tree! My friend, Linda, came up with another one that any of us could do, but I never thought of it! Aren't you curious how she got the popcorn in the glass ball? I was. 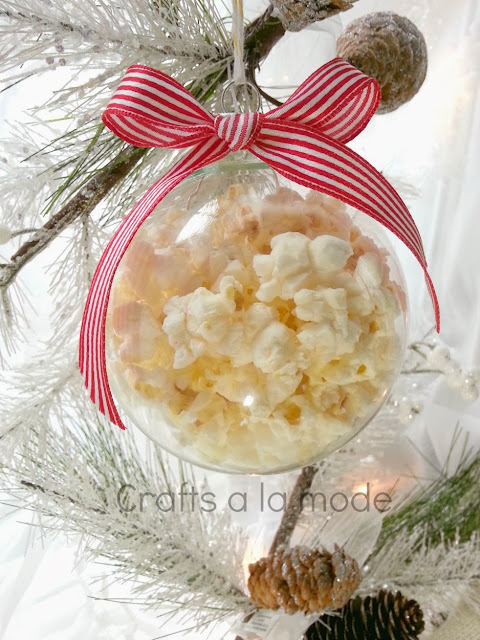 This Popcorn Ornament isn't one that splits in two either. Click on the link you're going to be surprised. 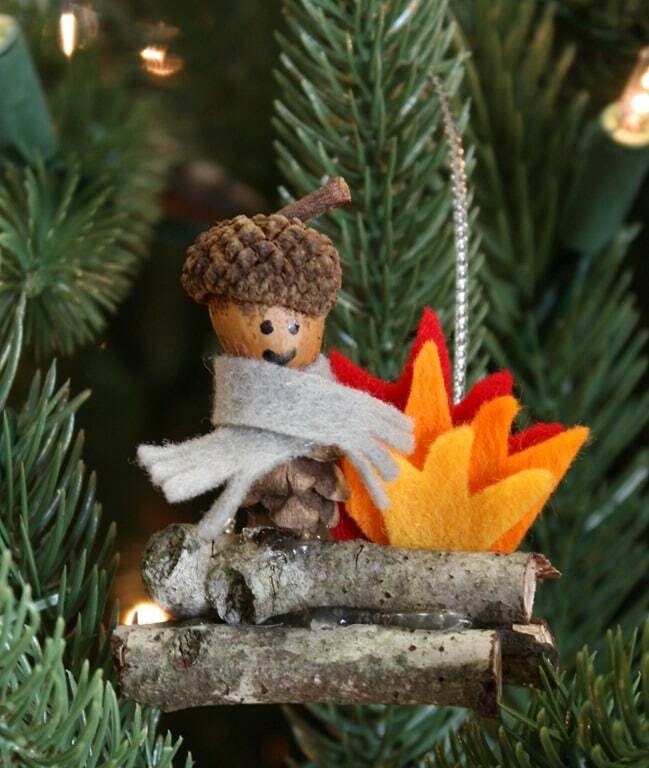 If you are a little more detailed oriented you might try your hand at recreating this cute little Woodland Elf Ornament Isn't he adorable? Right down to his bonfire and scarf! so special about putting a post like this together. 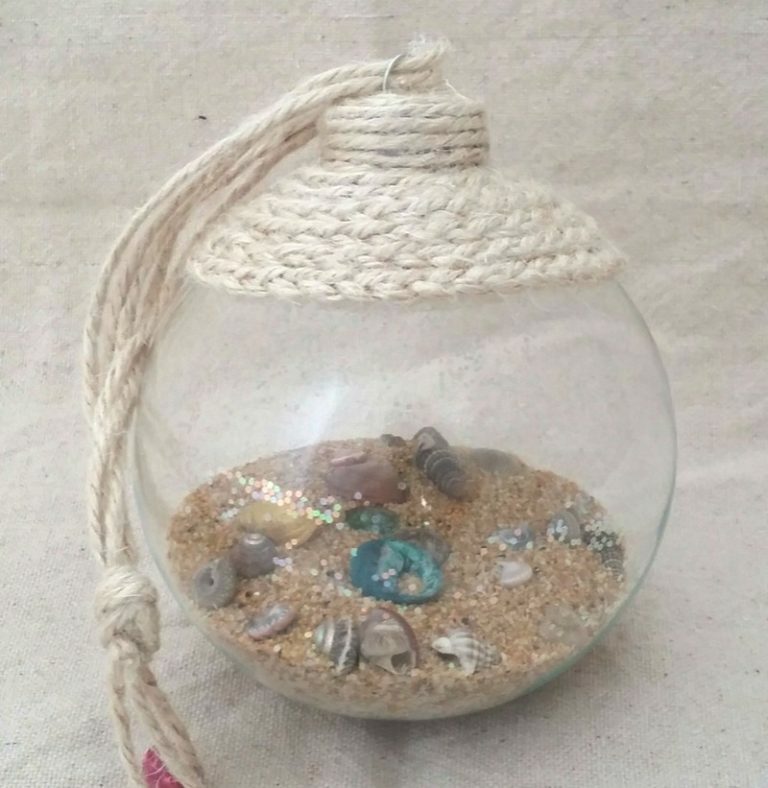 If you are a beach, or all things nautical lover, you're going to love this Beach Glass Coastal Ornament Such fun detail. 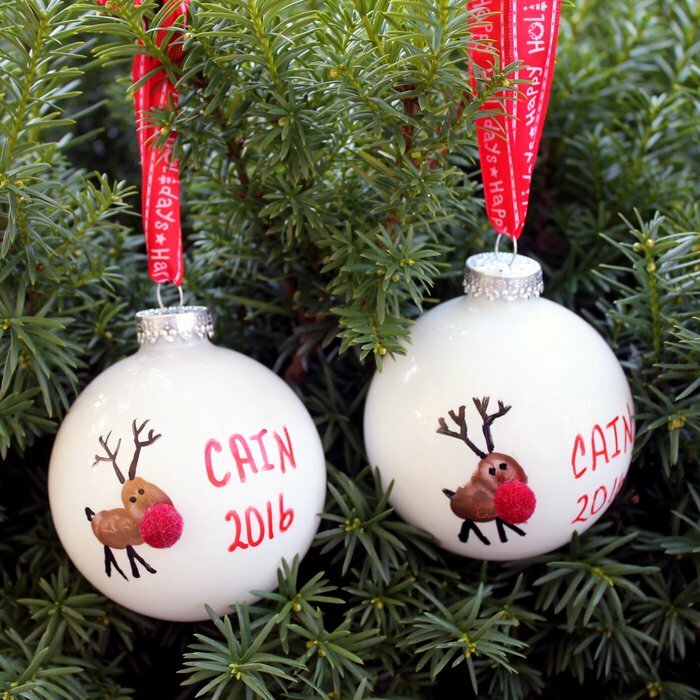 If you just want to havea lott of fun and personalize some ornaments in your own style, or perhaps a style you can't quite afford, you might want to take a tip from these Kate Spade Inspired Ornaments! Aren't they beautiful? How about a Recycled Jeans Angel? No waste and what a cutie you get to have for your tree!! If you're still wanting that "beachy" themed tree, we have you covered! 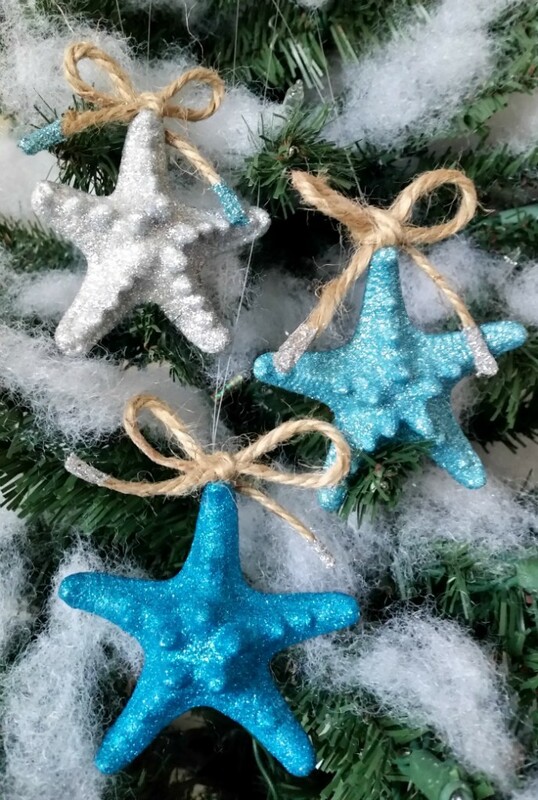 Check out this awesome Glitter Starfish Ornament! They'lll be the talk of your guests in this pretty blue and white. And, tried and true, and as old as the Middle Ages, you can continue it's legacy and enjoy its heavenly scent when you make your own Pomander! Follow the link to see how. Regardless of how much or how little you do there's definitely something here for everyone to take time and enjoy each others company and personalize your tree decorating this yar. I hope you enjoyed going through these wonderful ornaments as much as I did. special thanks to all the contributing Ladies who shared their lovely creations with me and you. Enjoy! 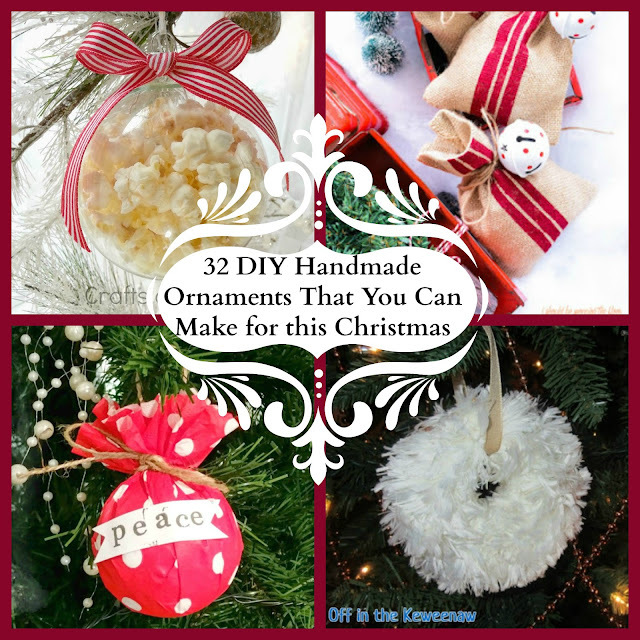 Such a lovely collection of DIY ornaments!! They are all special and fun to make! I especially love the wood slice ones....I'm so happy you stopped by Sweet Inspiration this week! Thank you! So many beautiful ones to try! 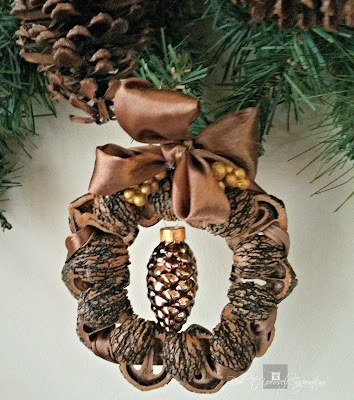 Thanks so much for including my Prairie Point Star Ornament Tutorial in your round up! !